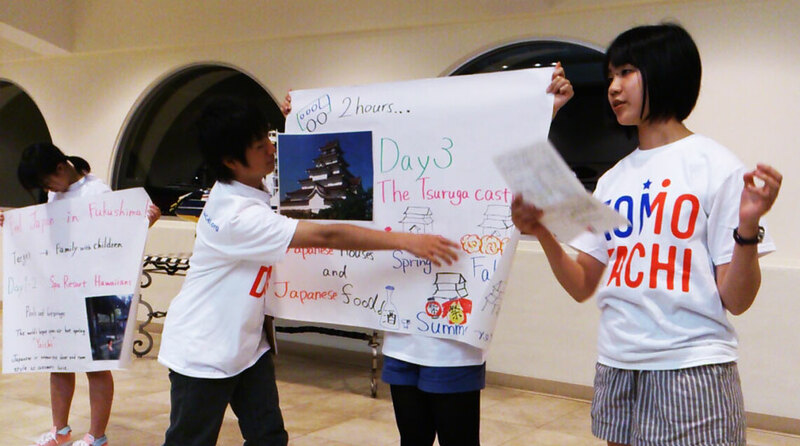 Ten junior high school students from Iwaki City, Fukushima who won the national competition in December 2013 visited Guam from March 30 to April 2, 2014 to participate in TOMODACHI Job Shadow Challenge Program with ten local students. 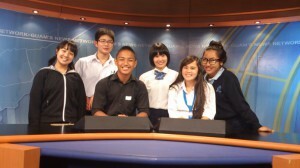 The Japanese students also shared hotel rooms with Guam students for 3 days. Rikuya Miyazaki said, “In the beginning, we could not communicate well, but after spending more time together, I gradually understood what my roommate was trying to say, and I felt I could deliver what I wanted to tell him. We found common interests and our communication got better and better. I have learned from this experience that communication with foreign people does not require perfect English and having the courage to speak out was more important than English skills. I would like to talk to not only foreign people but also Japanese people and try to get as many opportunities to communicate with people as possible.” He seems to be able to cross his border. At the pot-luck welcome dinner after Job Shadow hosted by parents of Guam students and supporting companies, Guam students showed their wonderful dance and Japanese students gave presentations that illustrated the attractiveness of Iwaki City, which was the presentation they had given at the national competition. On the last night when they had to say goodbye, both students exchanged small gifts and their personal information to keep in touch. It was brief moment, but thanks to all the volunteers from FedEx, KUAM, and IT&E, and Guam students, Iwaki students learned to dream big and have a strong determination to do their best at school to make their dream come true.